Japanese studio FujiwaraMuro Architects designed House in Toyonaka, Osaka, as a series of offset boxes with gaps between them that allow light and air to enter the house, while maintaining the occupants’ privacy. 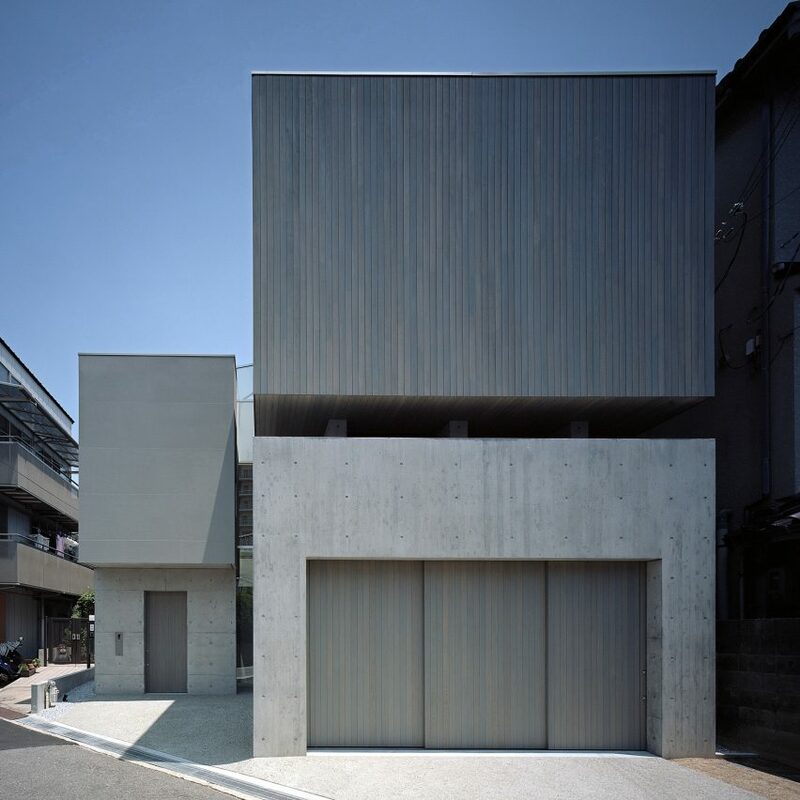 FujiwaraMuro Architects, founded by architects Shintaro Fujiwara and Yoshio Muro in 2002, created the Japanese house as a direct response to its urbanised site in a residential area of Toyonaka city, to the north of central Osaka. The site is enclosed by nearby neighbours and lacks any noteworthy views. For this reason, and to ensure the clients’ privacy, the architects designed a building with minimal openings in its facades. “The aim of the design was to create a stimulating and beautiful space that nevertheless had no large windows and was closed to the outside world,” the studio explained. 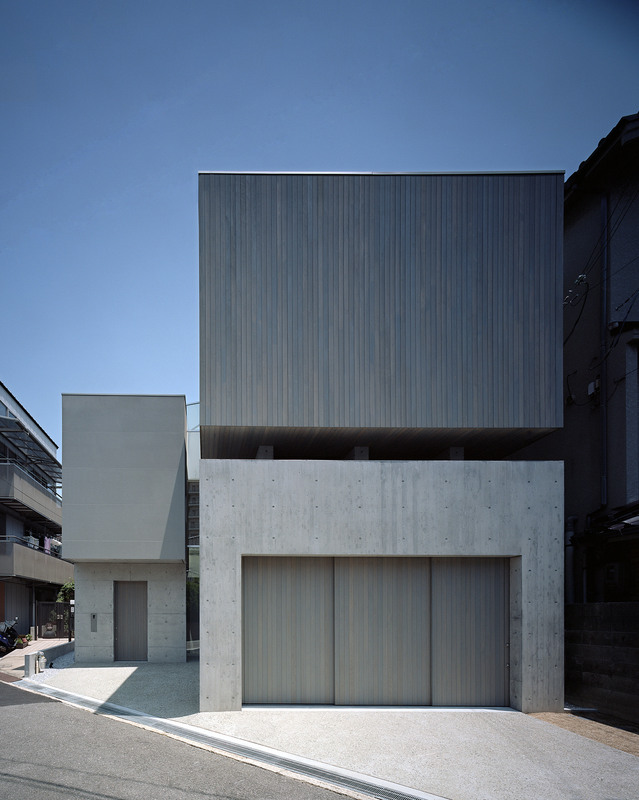 House in Toyonaka’s L-shaped plan comprises three boxes that are separated by narrow gaps. These horizontal and vertical openings funnel fresh air and daylight into the building, while highlighting specific views. “The smallness of these openings is precisely what makes the sudden glimpses of sky or streetscape they offer so striking,” the architects added. 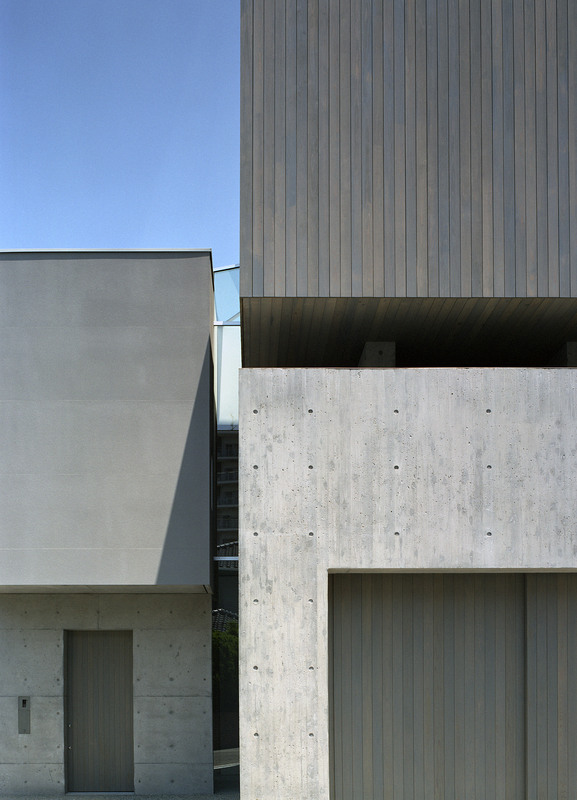 Externally, the three volumes are finished in materials that complement each other but help to distinguish the different parts of the House in Toyonaka. The ground-floor section housing the garage and entrance is formed of in-situ concrete that still displays holes from the tie bolts used to hold the formwork together. 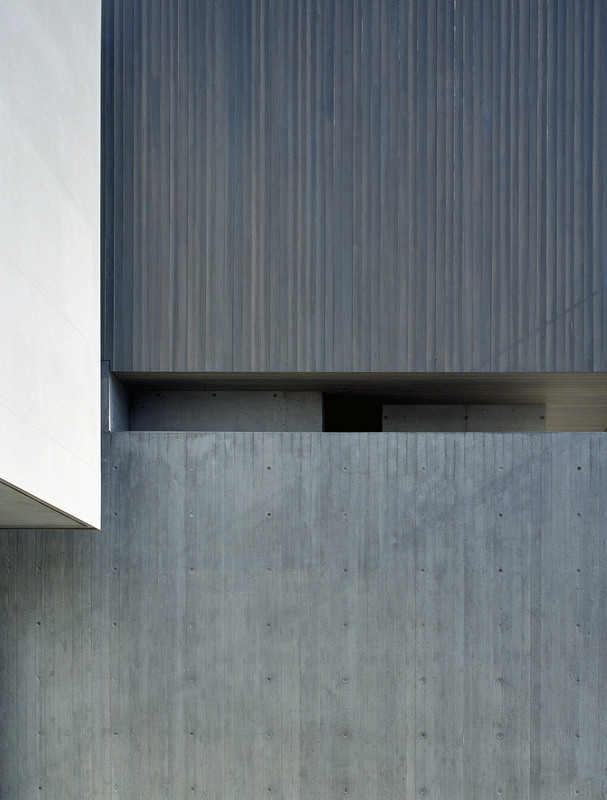 One of the upper boxes is wrapped in vertical battens of timber with a similar hue to the concrete, while the other is clad in grey panels that give it a smooth, uniform appearance. The entrance level contains a small lounge and a stairwell that leads up to the main living space. This open-plan room contains a kitchen and dining area that is separated from the living room by a change in level. 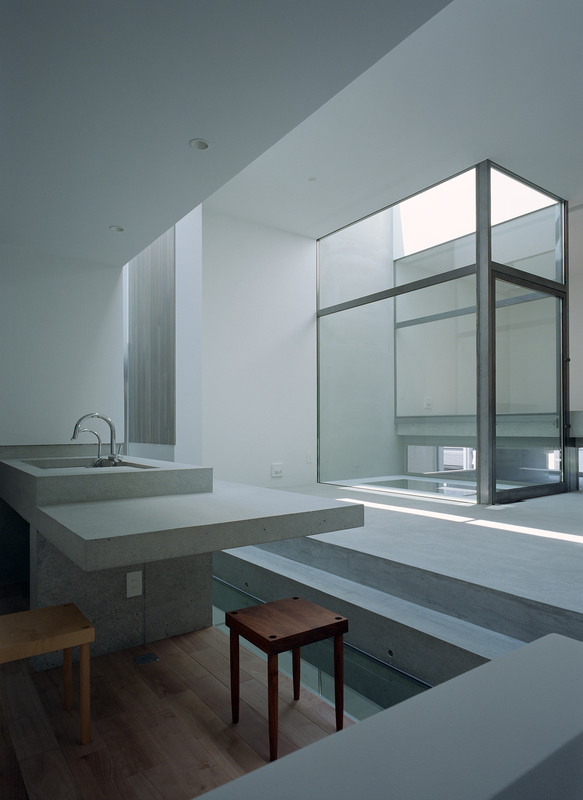 On one side of the living space is a light well that extends vertically through the building. Fresh air entering the glazed volume turns it into a semi-outdoor space at the heart of the house. 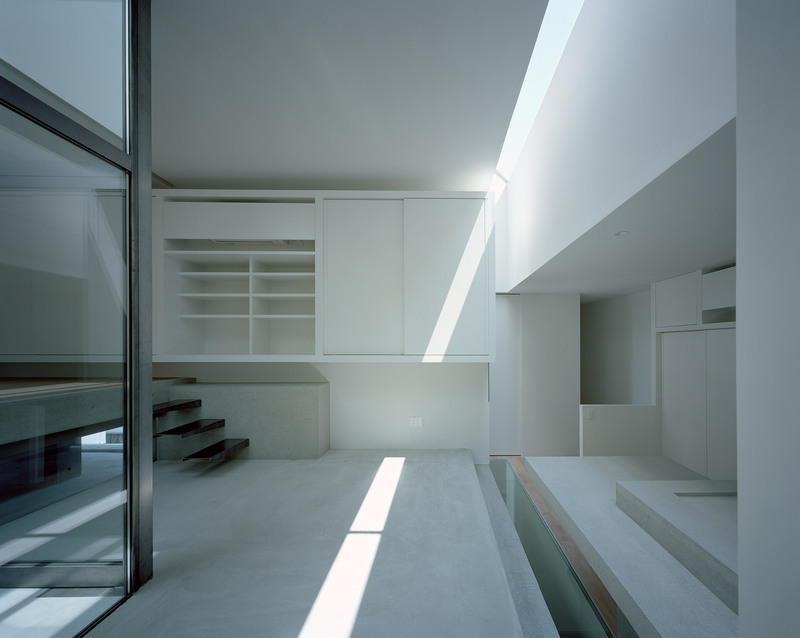 The light well has a glass floor that enables natural illumination to reach the garage and supplement daylight filtering through the gaps between the blocks. 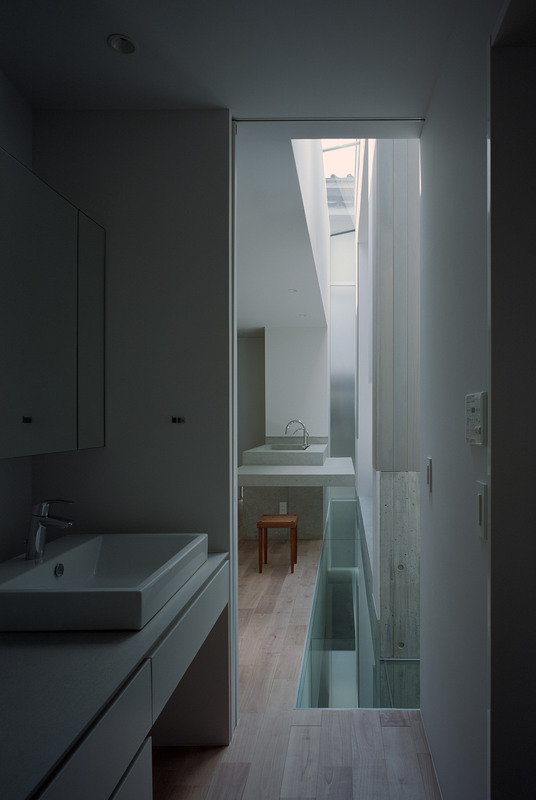 Another glass insert in the floor between the living and dining spaces follows the gap dividing the two vertical volumes and creates a visual connection between the two levels. A set of cantilevered metal steps leads up from the living space to a sleeping area elevated above the narrow horizontal window. Wooden flooring in the bedroom and kitchen provides a warmer counterpoint to the concrete of the living zone. Built-in shelving is incorporated along one wall of the minimal open-plan room, and a monolithic concrete kitchen unit is positioned close to the steps so they can function as additional seating. FujiwaraMuro Architects regularly works on inventive residential projects in Japan, including a house with stepped dormers integrated into its sloping roof, and another property incorporating a circular path that extends from the garden into the living areas. 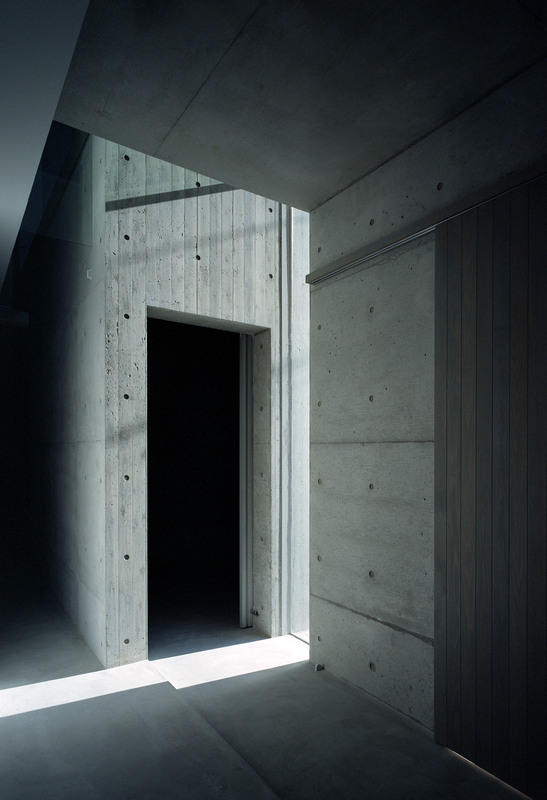 The post House in Toyonaka embeds windows in gaps between monolithic grey boxes appeared first on Dezeen.